Some time ago I wrote an article about how list the Wifi networks using Delphi and the Native Wifi API, today I will show you how can you can gain access to even more info and stats about the Wifi Adapters and Networks in a local or remote machine using the WMI (Windows Management Instrumentation) and Delphi. 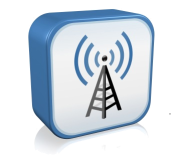 The WMI provides several classes to retrieve information about the WiFi networks and adapters, which these classes you will able to know for example the list available wifi networks, transmition and reception Wifi Stats, TCP/IP IPV4 and IPv6 settings and so on. In order to work with the next WMI classes your Wifi Network adapter must install a CIMWiFiProvider which implement these classes. To get the signal information (Quality, Crc Errors, RSSI) about current WiFi Network, use the WiFi_AdapterSignalParameters class. To get the list of the cached wifi network availables (result of the last network scan) use the WiFi_AdapterCachedScanList class. Using the WiFi_AvailableNetwork class you can scan and get the list of the current wifi network availables. If you want list all the stored WiFi networks profiles use the WiFi_PreferredProfile class. The WiFi_NetworkAdapter class give you access to the main information related to the WiFi network adpaters. The WiFi_AdapterVersion class let you get the Driver and Firmware information about the WiFi Adapters. Use the WiFi_AdapterDevice class if you want get the Mac Address and internal info about the adapter. To get the memory address, memory size and others items related to the internal settings of the adapter use the WiFi_AdapterConfigSettings class. 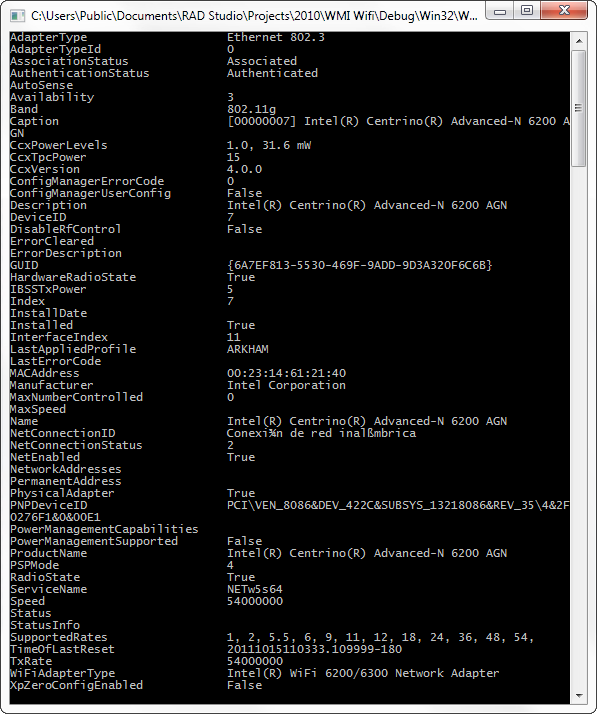 To get the global stats about the adapter like use the WiFi_AdapterTxRxStats class. Categories: Delphi, Networking, WMI | Tags: Delphi, Networking, WMI | Permalink. Maybe your Wifi Adapter driver does not install a CIMWiFiProvider which is necesary to register these classes. Is there anyway to get the Wifi Adapter to install a CIMWiFiProvider? William the CIMWiFiProvider is installed when you install the driver of your Wifi network adapter. Try checking the site of the manufacter of your network card. I have Asus AC-56 (and other adapters) but this adapter have no CIMWIFIProvider… how i can instal or enable this provider?